R.J. Lewis, President and CEO of eHealthcare Solutions has made a top 10 predictions list for the last several years. R.J. is a thought leader in the pharma industry and has published a book for pharma marketers. For more info on R.J., see his bio. Here were his predictions and his grade for 2017. Significant changes to the ACA (Obamacare) are certain under President Trump. ((Grade = A)) Trump made some smaller changes in October – encouraging federal agencies to open up the market to cheap, loosely regulated insurance plans, but with no certain timelines. However, in the new tax bill, passed by the House on December 19, 2017, the individual mandate for insurance is slated to be repealed. Inflection point for digital health. As devices proliferate and scale their capabilities, we will see increasing attempts to submit for FDA labeling some combination of pill + device + service. ((Grade = A)) Abilify® embedded with the Proteus® ingestible sensor was FDA approved in 2017. Increased collaboration and partnership with payers towards improving patient outcomes. ((Grade = A)) Several stories this year on payers working toward lower spending on high cost chronic conditions, raising the care quality, and partnerships to leverage existing community resources. Also, the Aetna and CVS merger promises to improve health care. Telemedicine goes from pilot to practice to eventually mainstream. ((Grade = A)) Physician adoption of telemedicine has reached 71% in 2017 according to research from HIMSS Analytics. With pharmaceutical salesforces becoming less effective due to highly restricted access, the shifting from personal to non-personal promotion (NPP) will continue. ((Grade = B)) It seems that the restricted access may have plateaued around 50%-60% between 2015 – 2017. However, according to one survey by DRG Digital/Manhattan Research 64% of physicians surveyed still meet with pharmaceutical reps.
Programmatic ad spending for pharmaceutical companies will more than double. ((Grade = B)) According to eMarketer, programmatic display only increased 27.8% from 2016 to 2017. No data available specifically for pharma. Depending on regulatory changes to incentives and penalties regarding EMR adoption, and based on a fairly saturated and penetrated market, the adoption rate of EMRs may slow down or even flat line. ((Grade = A)) 1% increase in EHR adoption rates from September 2016 to March 2017, according to PracticeFusion. Yes, it appears to have flatlined. The continued rise of consumerism in healthcare where customer service, Net Promoter scores, quality packaging and presentation, ratings and reviews become the metrics on which brand manager KPIs should be based. 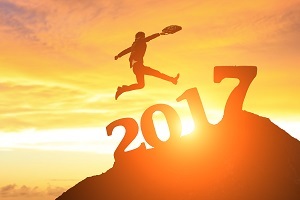 2017 is not likely to bring all of those changes to brand manager KPIs, however, the trend toward the higher expectations of consumerism will only continue to accelerate. Patient voices will be heard. ((Grade = B)) Not sure it’s affecting KPI’s, yet, but it is certainly on pharma marketer’s minds as seen through an increased usage of patient stories to illustrate the value of treatments. Here are some healthcare brands using emotions to tell their stories. The rise of decentralized healthcare and the decline of hospitals. ((Grade = A)) Hospitals are definitely in decline according to trends reported in August by hospital chains HCA, Community Health Systems and Universal Health Services. Healthcare may be one of the most interesting “Big Data” petri dishes society has to offer. If we can appropriately modify HIPAA—to empower and enable our most talented data scientists to really explore, understand, and find trends and insights in the data found within the healthcare market—we could see remarkable change and improvement to care, costs, and lives saved. I don’t predict this will happen in 2017, but we will begin the conversation. ((Grade = A)) Yes. Here is just one article that discusses the importance of analytics in patient care.